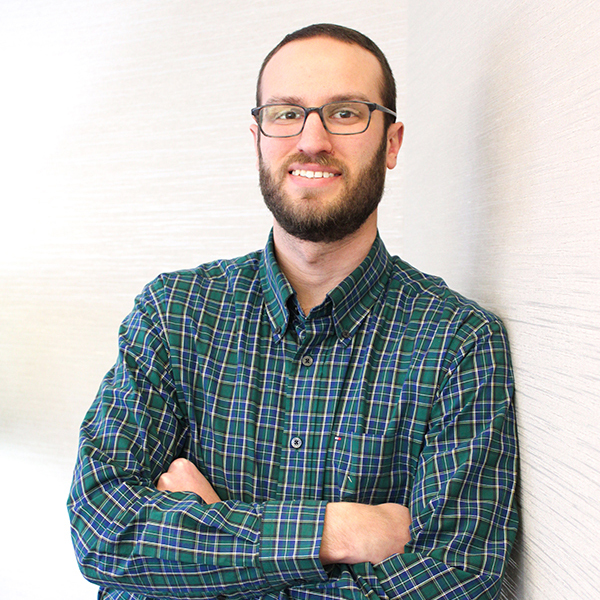 We last spoke with Mitchell Wilson of Engineered Performance in Alvarado, TX a little more than a year ago. 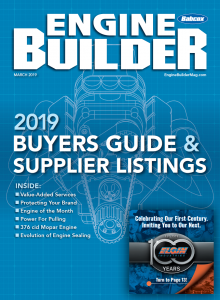 Since that initial meeting, Wilson has been a contributor to the Engine Builder magazine, and we’ve been keeping tabs on all of his engine work via his strong use of social media like Facebook and Instagram. 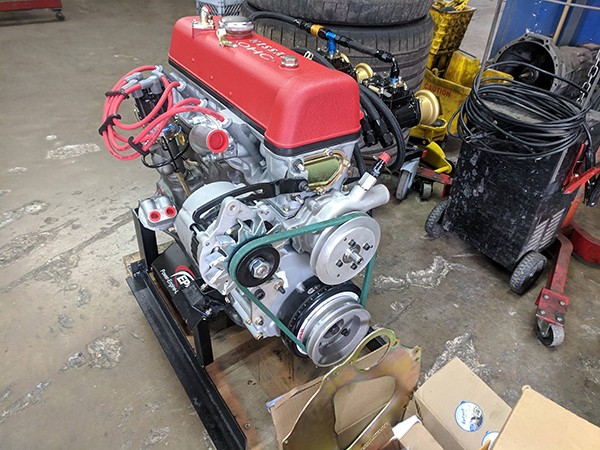 Wilson recently got in touch with us regarding a vintage 1962 Nissan/Datsun U20 engine he built, and after seeing the engine, we couldn’t resist knowing the full story. Engineered Performance is a 2,000 sq. ft. engine shop that specializes in import engine work, and more specifically, the Nissan platform. 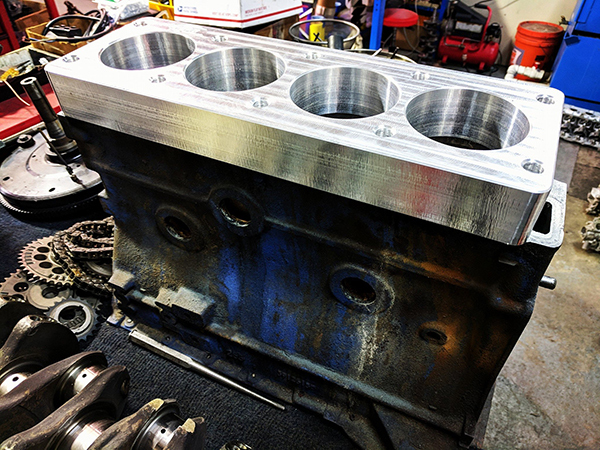 The shop is a full machine shop capable of doing everything in-house – boring, machining, cylinder head work, porting, and component coatings. 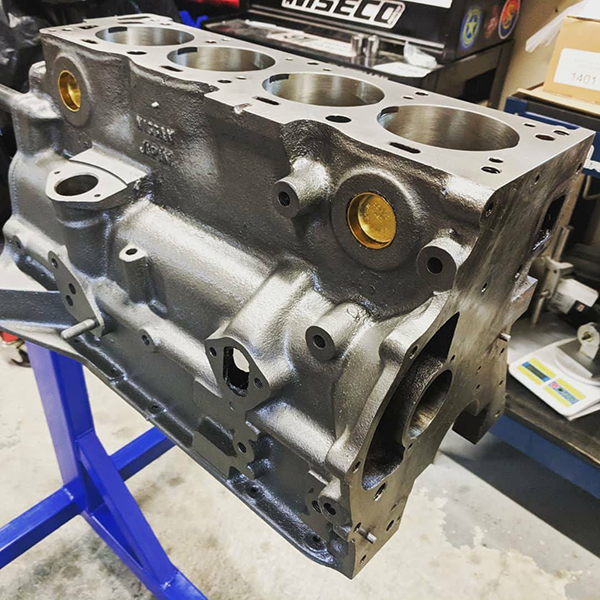 Since the last time we caught up with Wilson, Engineered Performance acquired another machine shop’s equipment, allowing the shop to expand its engine platform and machining capabilities. “We gained an extra 15 machines,” Wilson says. “We’re now set up with quite a few lathe and mill machines. We’ve got another cylinder hone, etc. We’re up to 24 machines in the shop now versus only six or seven a year ago. That gives me a huge amount of capability. 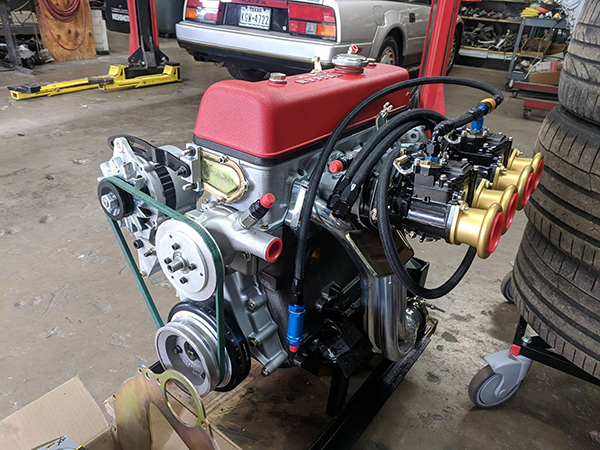 The two-man shop recently got a call from Austin Z Clinic, an automotive restoration company that Wilson does a lot of engine work for. 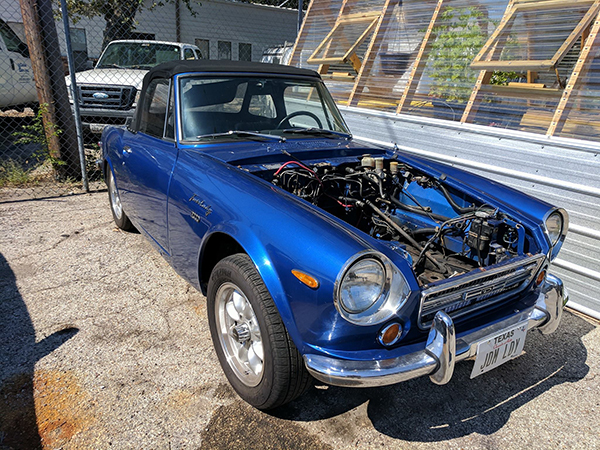 They had a customer looking to restore a ‘60s royal blue Datsun with an original U20 engine. Wilson was instantly intrigued by the challenge the older engine would be. Wilson subsequently did a little digging into the U20 platform and found there was a lot of heritage and history on it. He found out that the Nissan/Datsun U20 was originally a forklift engine that they turned it into a hot rod engine. He also found out there wasn’t much aftermarket support for it. 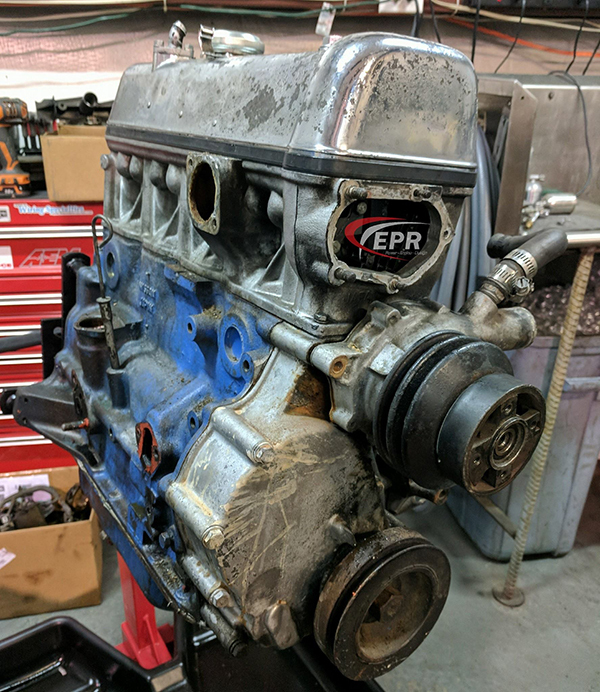 When Engineered Performance first got started on this build, it was just going to be a standard rebuild. However, that quickly changed when Wilson began telling the customer about what the shop could do for this assembly. 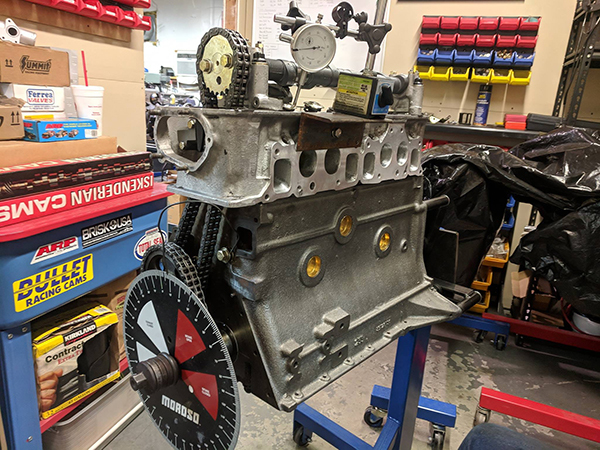 Starting with the block, Engineered Performance did the standard bore, deck and hone work, but found some issues with the rope seal from the factory. To remedy the situation, the shop dealt with a rope seal manufacturer to get a custom seal set up for the assembly. 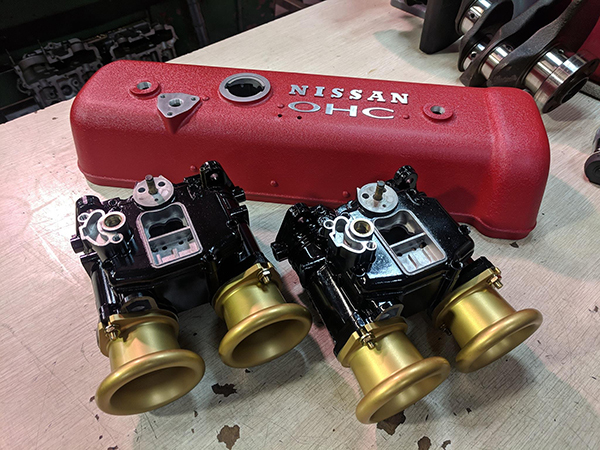 Moving on to the assembly, Engineered Performance had to get much of it custom made due to the lack of existing aftermarket products available for the Nissan/Datsun U20. “We reached out to Saenz and had Saenz Performance make us custom rods,” he says. 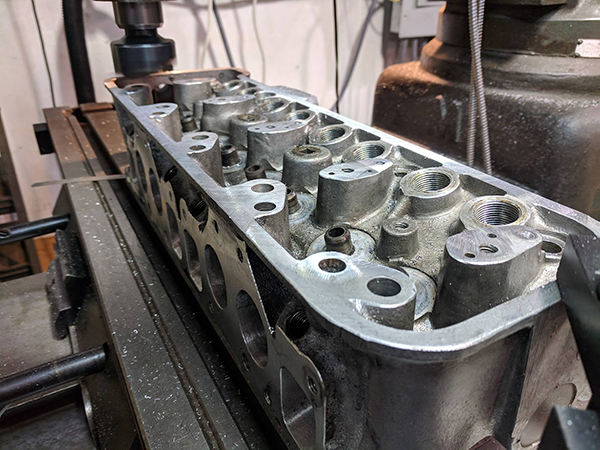 “CP jumped in and developed a custom piston for us and we completely revamped the cylinder head. We actually outfitted the engine with small block Chevy valves that were stainless steel and we got an upgraded valve spring kit. In addition, the shop ported the cylinder head and the CP pistons went up three points for compression. Wilson also dropped 4.5 lbs. from the rotating assembly by upgrading the design and the parts from Saenz and CP. 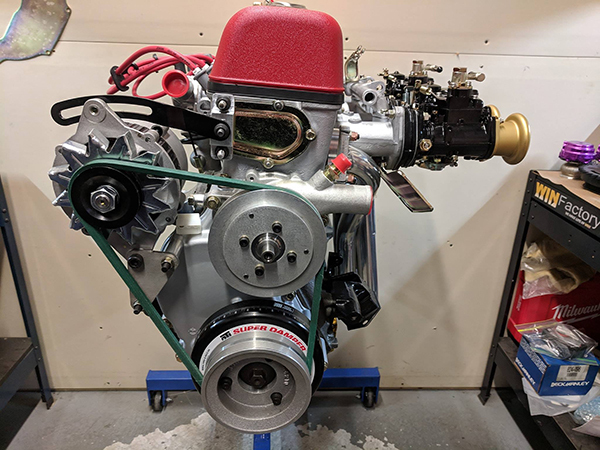 In addition to the Saenz rods, CP pistons, Web Cams camshaft, in-house oil pan and pick up tube, Engineered Performance used King bearings, Mikuni 44 carburetors and Datsun Restoration Products in Georgia for many of the OEM parts. A lot of the U20’s valvetrain components were able to be retained because they were actually over engineered for their time. According to Wilson, those parts won’t break unless the engine runs out of oil up top. One of the last things the shop did on the Datsun engine was develop a revised v-belt drive on the front. 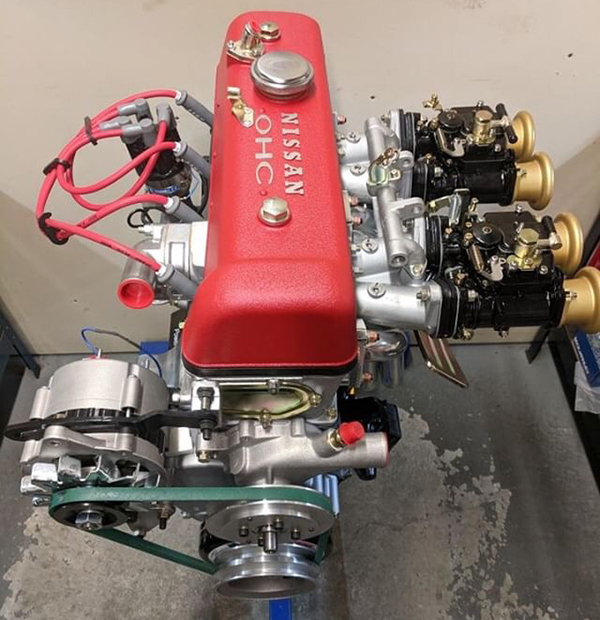 Originally, Nissan/Datsun rated this engine at 75 horsepower per liter – 150 horsepower total. That horsepower total was at the crank, which is about 90-95 hp to the tire. 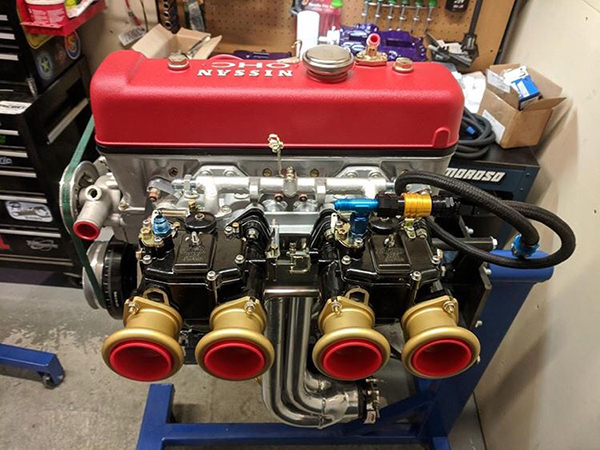 To put the finishing touches on the build, Wilson wanted to make the engine look like Ferraris of the ‘60s, to really capture that automotive era. “We had a blast building this thing, and one of the things I was trying to convey to the client was you have a vehicle that was built in the ‘60s that was sort of an icon for the import crowd,” he says. “For a lot of people in that era, the car that everyone wanted and fantasized about was the Ferrari. 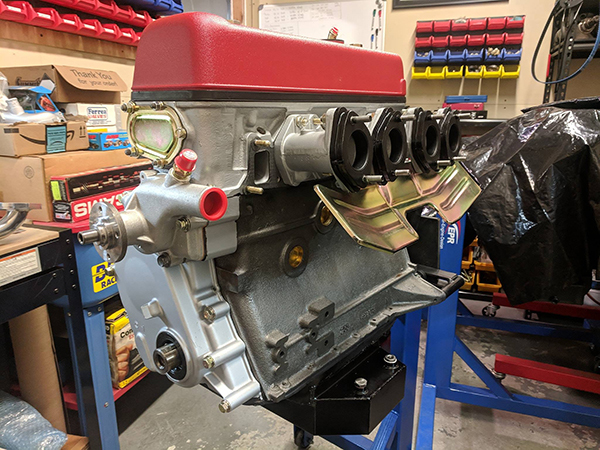 When people opened up the hood, they saw that red Ferrari valve cover, all the zinc-plated hardware, the silver cylinder heads, and the charcoal block.